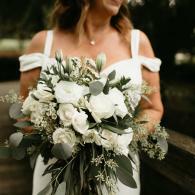 At Dahlonega Wedding Flowers, we have a well-known reputation for delivering exceptional wedding and personal florals that will leave you in awe. 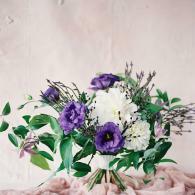 We bring style, elegance and a fresh artistic perspective to every floral creation we undertake. Plus, we're always happy to hear your ideas to gain inspiration. We've worked with a variety of venues including a favorite of ours: rustic vineyards! Whatever your floral vision may be for your special day, we're here to capture the beauty of your moment with breathtaking flowers. 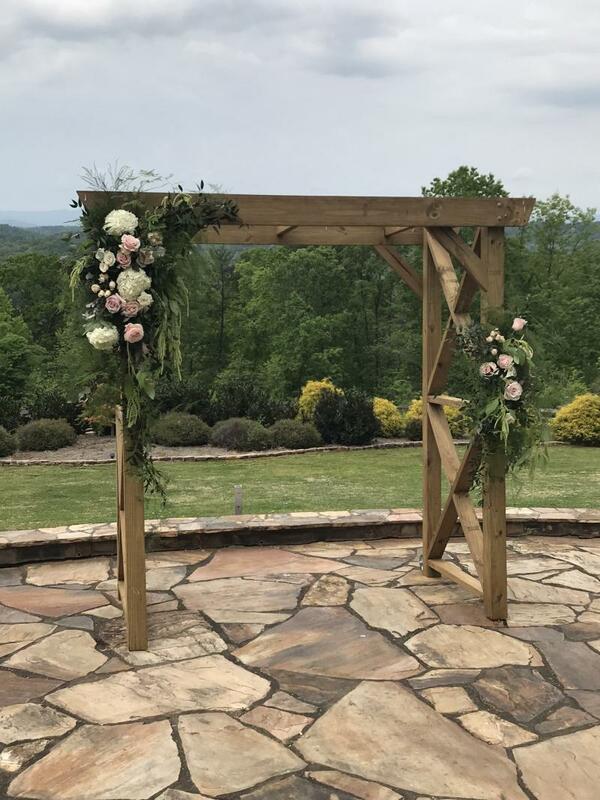 From lovely wedding bouquets to extravagant ceremony flowers, let Dahlonega Wedding Flowers make your floral dreams a reality. 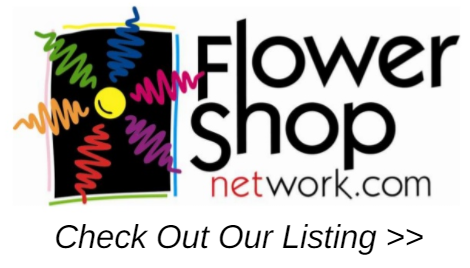 We are a proud branch of The Flower Mart---a company that caters to your every floral need!. When planning your wedding, you want everything to be absolutely perfect. So do we. We have been privileged to have been helping brides in the Dahlonega, GA area for years. 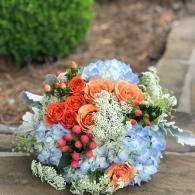 See how our wedding consultants can help make your day more beautiful with stunning wedding bouquets. When you think of your wedding day, what do you envision for your flowers? Vibrant, red roses garnished with vivid greenery? 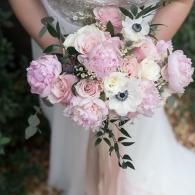 Or softer tones like classic garden roses and wildflowers? You tell us your vision and we'll make it happen. We design one-of-a-kind wedding and personal florals you won't soon forget. 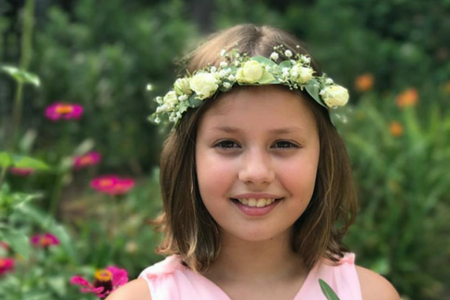 Let us perfect your look with stunning corsages, boutonnieres and flower crowns that we know you'll love. Trust our florists to deliver exceptional flowers for your occasion. Hi and thanks for stopping by our page. We are so excited to share with you some of the designs we have created in the North Georgia Mountain area. The design team has over 50 years combined floral knowledge and design skills. We love to create special memories through flowers. The most important flower you will ever purchase will be your wedding bouquet. Take a look around our website and then give us a call or shoot us an email, we would love to meet you. You may know us by The Flower Mart in Dahlonega which is our home and retail shop. 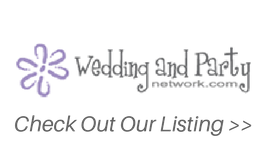 This web page is dedicated to our wedding and event portion of our company. You can follow us on Instagram @theflowermart to see what we are currently working on or find some of our favorite designs that we have completed for our recent brides. We give thanks to the talented photographers who have captured our florals in such an inspiring way. Through their camera lens we are able to show you a sampling of our work as well as their talent behind the camera.